If you want have a smooth relationship with your tenant, it is of crucial importance that the responsibilities of the tenant are set forth and made very clear right at the beginning itself. This helps a lot because then neither you nor your tenant will have any confusion regarding who is responsible for what in the relationship. This will help you start on the right path at the beginning and help avoid conflicts in the future. Helps in avoiding a strained relationship between you and your tenant. If there is any loss by any chance, there would be no confusion on who is responsible for the loss and who should pay for it. The main work of setting the responsibilities of both the parties should be done at the time of signing of the agreement. The agreement should clearly state what is expected out of the tenant as well as the owner. The most disputed area is generally the one where the improvements within the house come into play. Most of the time the agreements may just state that the improvements are the responsibility of the tenant. Such agreements that are written vaguely are generally interpreted by different people differently. This may lead to a great problem and can be a reason for dispute between the owner and the tenant. Therefore, it’s important to set the responsibility particularly when drafting the agreement. You should clearly specify which of the improvements would be the responsibility of the tenant and which of the improvements would be your responsibility. Try to put a value cap on the improvements with the tenant covering all improvements below that value. It’s also a good idea to demarcate responsibilities on the basis of where the improvements are being made. If the improvements are being made in the building then it should be the landlord’s responsibility to pay for them. This is because these improvements would help the building and when the building would look better, it would improve the value of the landlord’s property. On the other hand, any improvement made inside the house should be made the responsibility of the tenant. This will help in identifying responsibility when any thing gets damaged. If it’s under your responsibility, you must pay while if it’s the tenant’s responsibility then the tenant would be liable to pay the price. 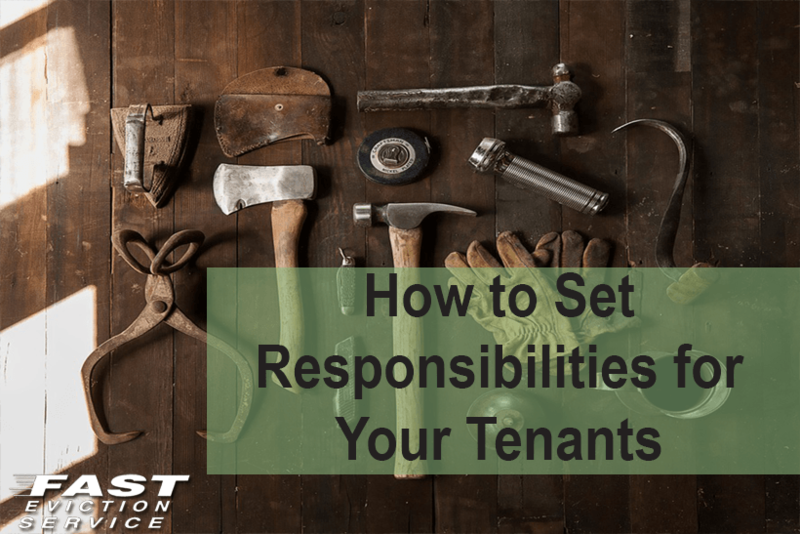 These are a few of ways that landlords can help set responsibilities with tenants right from the start that gets the relationship off to a good begining and avoids confusion.